"We have also decided that a cyber attack can trigger Article 5 and we have also decided and we are in the process of establishing cyber as a military domain meaning that we will have land, air, sea and cyber as military domains. All of this highlights the advantage of being an alliance of 29 allies because we can work together, strengthen each other and and learn from each other." - NATO Secretary General Jens Stoltenberg, ahead of a meeting of NATO Defence Ministers (28 June 2017). Cyber defence is part of NATO’s core task of collective defence. NATO has affirmed that international law applies in cyberspace. NATO is responsible for the protection of its own networks. In July 2016, Allies reaffirmed NATO’s defensive mandate and recognised cyberspace as a domain of operations in which NATO must defend itself as effectively as it does in the air, on land and at sea. Allies also made a Cyber Defence Pledge in July 2016 to enhance their cyber defences, as a matter of priority. Allies are and remain responsible for the protection of their national networks, which need to be compatible with NATO’s and with each other’s. NATO reinforces its capabilities for cyber education, training and exercises. Allies are committed to enhancing information-sharing and mutual assistance in preventing, mitigating and recovering from cyber attacks. NATO signed a Technical Arrangement on cyber defence cooperation with the European Union (EU) in February 2016. In light of common challenges, NATO and the EU are strengthening their cooperation on cyber defence, notably in the areas of information exchange, training, research and exercises. NATO is intensifying its cooperation with industry, via the NATO Industry Cyber Partnership. "NATO was one of the first to announce a cyber defense policy package in response to cyber attacks against Estonia in 2007" (from a dissertation published by Tartu University Press in 2011, Comprehensive legal approach to cyber security by Eneken Tikk). - the establishment of the Cooperative Cyber Defence (CCD) Centre of Excellence (CoE) in Tallinn, Estonia (May 2008). On 7 February 2010, NATO nations met to boost cooperation on cyber defence through multinational projects. The session was a follow-up to the Lisbon Summit and a high-level cyber defence meeting held at NATO Headquarters on 25 January 2011. On 27 February 2011 General Stéphane Abrial outlined NATO's cyberdefense efforts since the adoption of the New Strategic Concept in the New York Times op-ed NATO Builds Its Cyberdefenses. Establishing multi-national efforts in Cyber Defence will further enhance their cyber defence capabilities in a collaborative, cost-effective manner. 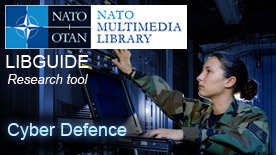 On June 8, 2011 NATO Defence Ministers adopted a new cyber defence policy. The policy focused on prevention of cyber attacks and building resilience. The policy clarified political and operational mechanisms of NATO’s response to cyber attack and integrated cyber defence into NATO’s Defence Planning Process. "And NATO is not immune. in 2012 alone, NATO's systems suffered over 2,500 significant cyber attacks" said NATO Secretary General Anders Fogh Rasmussen (The history of cyber attacks - a timeline - Nato, NATO Review magazine, ﻿October 2013). In 2013 was published the Tallinn Manual on the International Law Applicable to Cyber Warfare. This 300-page manual was written by a group of 20 researchers at the invitation of NATO's Cooperative Cyber Defense Center of Excellence in Tallinn, Estonia. "Scholars involved in a project sponsored by NATO’s Cooperative Cyber Defence Centre of Excellence in Tallinn will meet in February 2014 to consider what options governments have, under international law, to respond to cyberattacks from other countries." The project, called the Tallinn Manual 2.0, is due to be published in 2016 and is a follow-up to the 2012 Tallinn Manual. (Source: "NATO-backed Project Explores Legal Options To Respond to Cyberattacks" in Defense News, 23 January 2014). In order to keep abreast with the rapidly changing threat landscape and maintain a robust cyber defence, NATO has adopted a new enhanced policy, which was endorsed by Allied defence ministers in June 2014. The policy establishes that cyber defence is part of the Alliance’s core task of collective defence, confirms that international law applies in cyberspace and intensifies NATO’s cooperation with industry. The top priority is the protection of the communication systems owned and operated by the Alliance. The new policy also reflects Allied decisions on issues such as streamlined cyber defence governance, procedures for assistance to Allied nations, and the integration of cyber defence into operational planning (including civil emergency planning). Further, the policy defines ways to take awareness, education, training and exercise activities forward, and encourages further progress in various cooperation initiatives, including those with partner countries and international organisations. It also foresees boosting NATO’s cooperation with industry based on information sharing and cooperative supply chain management. The growing sophistication of cyber attacks makes the protection of the Alliance’s communications and information systems (CIS) an urgent task. This objective has been recognized as a priority in NATO’s Strategic Concept, and has been reiterated in the two most recent Summit Declarations (Chicago in 2012, art. 49 - and Wales, art. 72 &73 in 2014). On 21 November 2014, Secretary General Stoltenberg stated: "Cyber is Part of NATO Collective Defence" (CCD COE). In 2015, a team of NATO cyber defenders from the NATO Computer Incident Response Capability (NCIRC), based in Mons Belgium, won the largest international cyber defence exercise ‘Locked Shields 2015’, which concluded on 24 April in Estonia. (NATO Team Tops Cyber Exercise, 24 April 2015). 7th Conference on Cyber Conflict, CyCon 2015: 26-29 May 2015. There is regular cooperation between the EU and NATO experts. On 10 February 2016, a Technical Arrangement on Cyber Defence was concluded between the NATO Computer Incident Response Capability (NCIRC at SHAPE - a team of 200 experts) and the Computer Emergency Response Team of the European Union (CERT-EU). The Technical Arrangement provides a framework for exchanging information and sharing best practices between emergency response teams. On 6 July 2016, the European Parliament's plenary adopted the Directive on Security of Network and Information Systems (the 'NIS Directive'), which represents the first EU-wide rules on cybersecurity. On 14 June 2016, Defence Ministers endorsed the recognition of cyberspace as a domain at the upcoming Warsaw Summit. In a Press conference following the North Atlantic Council meeting, NATO Secretary General added: "Cyber defence is part of collective defence". On 17 October 2016, NATO Allied Command Transformation and the NATO Communications and Information Agency launched an independent research project to examine ways to streamline NATO’s cyber capability development and acquisition processes. Final report is expected in January 2017 (see also SIGNAL, 18 Oct 2016). Further information about this project can be found here. From 21 November to 2 December 2016, NATO trains Iraqi experts in cyber defence. This course was supported by the Science for Peace and security (SPS) Programme. On 2 December 2016, NATO holds annual cyber exercise in Estonia: the Cyber Coalition 2016. In the Secretary General's Annual Report published on 13 March 2017, Jens Stoltenberg lists the important achievements which occurred in 2016 (p. 26). Authored by nineteen international law experts, the “Tallinn Manual 2.0 on the International Law Applicable to Cyber Operations”, the updated and considerably expanded second edition of the 2013 “Tallinn Manual on the International Law Applicable to Cyber Warfare”, is an influential resource for legal advisers dealing with cyber issues. The Tallinn Manual 2.0, published in 2017, is the most comprehensive analysis of how existing international law applies to cyberspace. The Tallinn Manual is available in both paper and electronic copies (paid subscription) from Cambridge University Press. The drafting of the Tallinn Manual 2.0 was facilitated and led by the NATO Cooperative Cyber Defence Centre of Excellence. On 16 February 2017, NATO and Finland step up cyber defence cooperation. Organized by the NATO Cooperative Cyber Defence Centre of Excellence in Tallinn (Estonia), the exercise Locked Shields 2017, the largest and most advanced cyber defence exercise in the world, involved around 800 participants from 25 nations. (NATO: World’s largest cyber defence exercise takes place in Estonia, 26 April 2017). During the 9th International Conference on Cyber Conflict (Cycon), held in Tallinn from 30 May to 2 June 2017 and, organized by the NATO Cooperative Cyber Defence Centre of Excellence, NATO decided to “beef up cyber capabilities” (Source: Defense News, 31 May 2017). 1 June 2017: 1st NATO Cyber Defence Smart Defence Projects’ Conference (Source: NATO Industry Cyber Partnership). Ahead of a meeting of the NATO Defence Ministers held on 28-29 June 2017, NATO Secretary General said: "We are in the process of establishing cyber as a military domain meaning that we will have land, air, sea and cyber as military domains." Jens Stoltenberg also added, following a question regarding the latest cyber attacks in Ukraine: "NATO helps Ukraine with improving its cyber defenses. NATO has established a trust fund for cyber defense where we finance the programs, the activities we do." (Press conference by NATO Secretary General Jens Stoltenberg ahead of the meeting of NATO Defence Ministers, 28 June 2017). During the same Defence Ministers event, NATO Secretary General Stoltenberg announced: "The NATO and EU emergency cyber response teams are now able to share information and warnings in real time. And that’s exactly what they did during the global ransomware attacks earlier this week. Today, we agreed to look into ways to expand our cooperation even further, including in the fight against terrorism." (Press conference by NATO Secretary General Jens Stoltenberg following the meeting of the North Atlantic Council at the level of Defence Ministers, 29 June 2017). On 19 July 2017, NATO and the Jordanian Armed Forces inaugurated the newly established Computer Emergency Response Team (CERT) in Amman. The CERT was set up as part of a NATO Science for Peace and Security (SPS) project to enhance Jordanian cyber defence capabilities. (NATO supports Jordan’s national cyber defence strategy, 20 July 2017). Cyber Coalition, NATO’s biggest and most important cyber defence exercise, involved more than 700 participants from 25 Allies, as well as NATO partner countries, the European Union, industry and academia (NATO’s flagship cyber exercise begins in Estonia, 28 November 2017). On 13 February 2018, NATO launched a multi-year initiative to help develop the Moldovan Armed Forces’ cyber defence capability under the NATO Science for Peace and Security (SPS) Programme. (NATO launches second cyber defence project with Moldova, 20 February 2018). In April 2018, NATO won the world’s largest live-fire cyber exercise, Locked Shields 2018. (NATO wins the world’s largest live-fire cyber exercise, 26 April 2018). How to Respond to Cyberattacks ? NATO Cooperative Cyber Defence Centre of Excellence (CCD COE) in Tallinn, Estonia. The article, NATO's Cyber Capabilities: Yesterday, Today, and Tomorrow by Healey and van Bochoven (February 2012) provides a good overview of NATO's cyber capabilities. The Tallinn Manual on the International Law Applicable to Cyber Warfare (2012). The 300-page manual was written by a group of 20 researchers at the invitation of NATO's Cooperative Cyber Defense Center of Excellence in Tallinn, Estonia. In an article of the Washington Times published in March 2013, Michael N. Schmitt, the manual’s lead author, considers this manual as “a starting point for discussions about the law.” After the cyber attack on Sony Pictures Entertainment at the end of 2014, in an article dated 5 January 2015 Michael Schmitt insists on the Tallinn Manual's relevance. The European Union Institute for Security Studies in a September 2013 paper (Cyber world: site under construction) asks questions about a new cyber world order and governance of cyberspace, stressing the possible future role of the EU in that domain. An important article published in January 2015 in the American Journal of International Law: "NATO Affirms That Cyber Attackes May Trigger Collective Defense Obligations"
The Tallinn Paper no. 8 published in April 2015: "The Role of Offensive Cyber Operations in NATO's Collective Defence"
Specific information on the NATO Cooperative Cyber Defence Centre of Excellence (CCDCOE): NATO Centre of Excellence in cyber competencies (European Defence Matters Magazine, p. 16, 26 November 2015). In NATO: changing gear on cyber defence, NATO’s cyber defence role is being clarified and defined as meeting two priorities: the protection of NATO's own networks and the support to its members in developing their own cyber defence capabilities (8 June 2016). On 8 February 2017, the NATO CCDCOE in partnership with the Atlantic Council and the Embassy of the Netherlands launched the Tallinn Manual 2.0 on the International Law Applicable to Cyber Operations. The video of the Panel Discussion: International Law and Cyber Operations - Launch of the Tallinn Manual 2.0 (Atlantic Council). The article "Private Sector Plays Bigger Role in NATO Cyber Strategy" by Vivienne Machi, published in National Defense in February 2017, focuses on the partnership of North Atlantic Treaty Organization (NATO) allies with cybersecurity industry and private sector to improve its cyber capabilities. The eBook : "Ethics and Policies for Cyber Operation. A NATO Cooperative Cyber Defence Centre of Excellence Initiative" (accessible to NATO staff only), stresses "the importance of the ethical and regulatory problems raised by the deployment of cyber capabilities in military operations. It clarifies and discusses the ethical and regulatory problems raised by the deployment of cyber capabilities by a state’s military forces to inflict disruption or damage to an adversary’s targets in or through cyberspace." The Carnegie Endowment for International Peace think tank just launched a Cyber Norms Index that tracks multilateral cyber agreements and compares the way they describe key principles and concerns. In March 2017, US lawmakers requested a proper definition for "cyberwar": Resolution "expressing the sense of the House of Representatives that the United States should develop and adopt a comprehensive cybersecurity policy", US Congress, 16 March 2017. Cybersecurity: The cold war online: a review of the book "The Darkening Web: The War for Cyberspace" by A. Klimburg, published in Nature (6 July 2017). NATO will rely on members to independently field cyber weapons but is building cyber command, published in IHS Jane's Defence Industry on 7 September 2017 (paywall access). In this article NATO’s Assistant Secretary General for Defence Investment Camille Grand said the alliance was establishing a cyber defence command. Member states would remain responsible for offensive capabilities. The article "EU-NATO Cyber Cooperation: Who Steps in During a Crisis?" by Tommaso de Zan, in: Cyber Warfare: Challenges and Opportunities, Atlantic Voices (September 2017). Future War NATO? From Hybrid War to Hyper War via Cyber War, a supporting paper of the GLOBSEC NATO Adaptation Initiative (November 2017). After the major ransomware cyberattack which mainly hit the Ukraine on 25 June 2017 (so called the “Petya” or "NotPetya" ransomware), NATO CCD COE published an analysis about the possible response options of affected states and the international community: "NotPetya and WannaCry Call for a Joint Response from International Community" (CCD COE, 30 June 2017). "In order to defend against malicious cyber operations, [...] various legal remedies and frameworks may also apply" says N. Wobma in "Laying down the (cyber) law" (NCI Agency, 1 August 2017). We need a global league to protect against cyberthreats to democracy, by Toomas Hendrik Ilves, Washington Post (5 October 2017).